What are the Different Methods for Hazardous Waste Clean up? The different methods for hazardous waste clean up depends on both the type of hazardous waste that is to be cleaned and where the hazardous waste is located. In many cases, the presence of hazardous waste can be a public health concern and become the obligation of government organizations to clean up. It usually is important that the hazardous waste clean up methods used do not endanger any human population or ecosystems. Improper clean up methods could create side effects that are as equally dangerous as the threats from the original hazardous waste. Materials that can inflict either immediate or potential danger to the general health of the public and the environment are termed hazardous waste. These effects may include either death or long-term health problems for the populace. Hazardous waste is defined as dangerous because they are wastes that cannot be eliminated by conventional methods and require special personnel and strategies to address the danger. 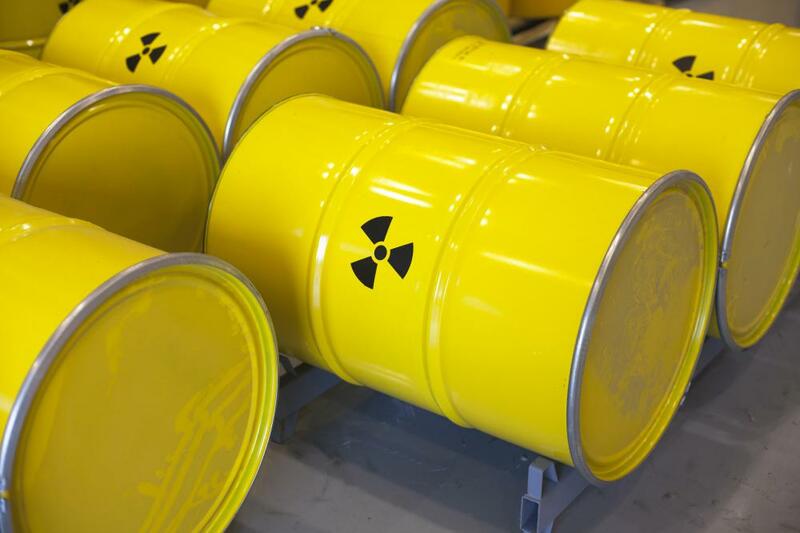 Hazardous waste can be broken down into many categories including radioactive, flammable, carcinogenic, toxic, and explosive. Each of these different types of waste requires its own specific hazardous waste clean up strategy. Nevertheless, clean up strategies tend to follow two main lines of thought: separation and destruction. Separation means that the hazardous waste is physically removed and placed into a safe zone where it will not harm the public or the environment. Destruction of hazardous waste attempts to eliminate the hazardous waste entirely, or change the chemical structure of the waste so that it is no longer dangerous. Destroying hazardous waste may include incineration which entails burning the waste contents at an extremely high temperature. Various technological advances in the development of incinerator units have improved this method. Hazardous waste landfills are permanent disposal facilities used to store hazardous waste. Such landfills may be either above ground, functioning like a common garbage dump, or may call for the internment of the waste deep within the ground. Cement strategies entail the lessening of waste toxicity and possible transmission of toxicity through a solidification or stabilization of waste using cement. Some hazardous materials also can be recycled. Recycling eliminates the hazardous aspects of a piece of waste, while also making the material environmentally friendly. Strategies such as recycling emphasize a more ecologically friendly approach to hazardous waste clean up with public health and environmental aims in mind. What does a Hazardous Waste Manager do? What is a Medical Waste Incinerator? What is a Hazardous Waste Site? What is Hazardous Industrial Waste? What is a Hazardous Waste Facility? What are Hazardous Waste Labels?